Below are the ignition coils currently available from AA Ignition. We are constantly adding more ignition coils to our catalog so check back for new products. Lifetime Warranty. If an ignition coil ever goes bad contact us for a free replacement. If your Toyota 4Runner, Tacoma, Tundra, or T100 has begun to misfire, idle erratically, or hesitate under acceleration a bad coil pack could be to blame. By providing the proper spark to the spark plug all of these running issues can be resolved. This AA Ignition Coil Pack is a direct replacement for the factory Toyota coil. Made by an original equipment supplier (OEM) these coil packs surpass the factory quality and will get your engine running how it should be; smooth and fast. 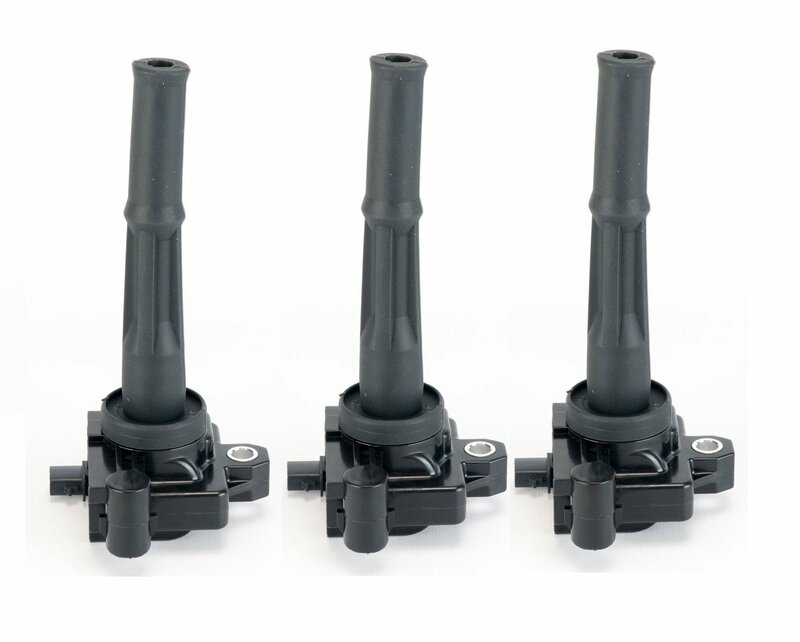 PLEASE NOTE this is a complete set of 3 ignition coils and replace all of the ignition coils on your 3.4L V6 Toyota. This ignition coil is not a genuine Toyota or Denso part. It is manufactured by AA Ignition, exceeds the factory specification, and carries a Lifetime warranty. This is not a genuine Toyota part, the term Toyota is used in this listing only to identify the vehicles this ignition coil fits.